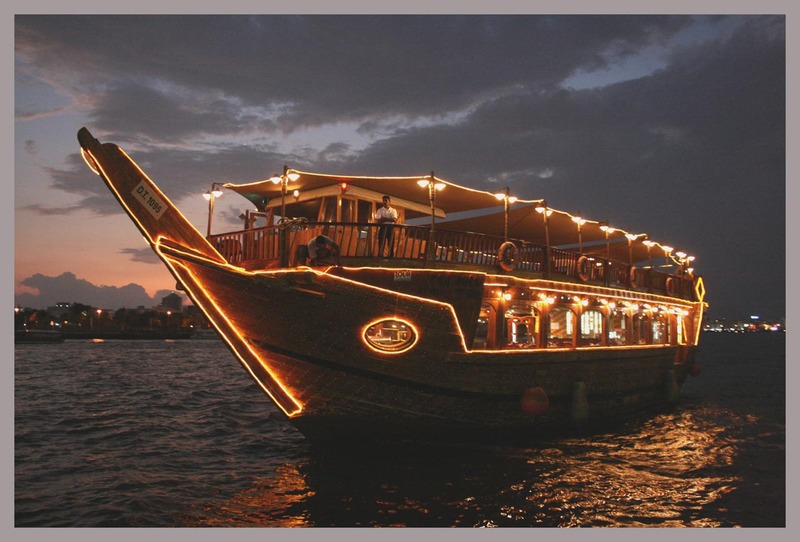 The conventional Arabian cruise, Traditional Wooden Dhow Cruises Jumeirah Dubai is yet another famous venue in Dubai known for granting a tremendous two hours trip, in which beauty of Dubai is showcased from various angles. Most prominent sites are shown to the guests along with lovely food and over whelming activities arranged by the management of the cruise. Two hour trip is organized for the guests in the traditionally designed cruise. You will be given a chance to see the beautiful scenery of Dubai that will take your breath away. Fireworks, lovely food and various awe-inspiring activities will indulge you in this trip. The splendid architecture and the illuminated skyscrapers are worth seeing sites. The cruise departs daily at 7:00 pm; rest of the information related to windsurfing activity can be attained by contacting on the number cited in step 3. Do not miss the opportunity to book or reserve your trip on the Traditional Wooden Dhow Cruises Jumeirah Dubai. 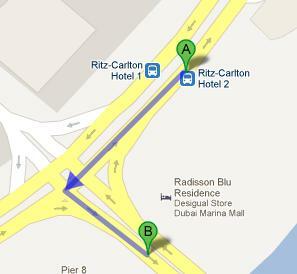 Two minutes walk away from Le Meridien Mina Seyahi Resort, Ritz-Carlton Hotel 2 bus stop is situated. The extent of 150 meters distance can be covered by commencing your march in the southwest direction onto Jumeirah Beach Rd. Take a left turn and keep on striding until you reach at your destination. The routes that are allowed to make a stop at Ritz-Carlton Hotel 2 bus stop are route number 8 from Gold Souq Bus Station 2A and F37 from Mina Al Siyahi, Le Meridien Hotel 2 Marina Metro Station. For a detail view of the pedestrian path take a look at this link.